Comfortable, padded, reinforced back panel. 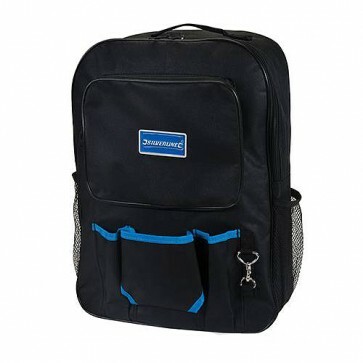 Adjustable shoulder straps, grab handle and deep, zipped pockets. Tear and stain-resistant ballistic nylon. L x W x H: 480 x 130 x 400mm.